Huntsville, Ala. (Nov. 10, 2011) – Tim Pickens, team leader of the Rocket City Space Pioneers, gets a chance to prove his “real world” technical aptitude in an upcoming episode of the National Geographic Channel’s new show, “Mad Scientists.” Pickens, who is also chief propulsion engineer and commercial space advisor for Dynetics, is scheduled to be featured in a 30-minute episode of the show on Wednesday, Nov. 16, at 10 p.m. ET. The show’s “reveal” was filmed at the U.S. Space & Rocket Center’s Aviation Challenge Lake in Huntsville. “Mad Scientists” is a show that challenges hand-picked scientists, inventors and tinkerers from all over the country to accomplish seemingly impossible technical feats in 48 hours. This is not the first time Pickens has been the subject of a national television show. It is the first time he has been challenged on national TV to build and design rocket-powered machines in two days that a person can safely operate. These feats were designed to propel the host of the show, John Bowler, at high speeds down the road and fly him in the air using Pickens’ innovations. In 2005, Pickens and his daughter Sarah appeared on “The Daily Show” with their homemade rocket bikes. 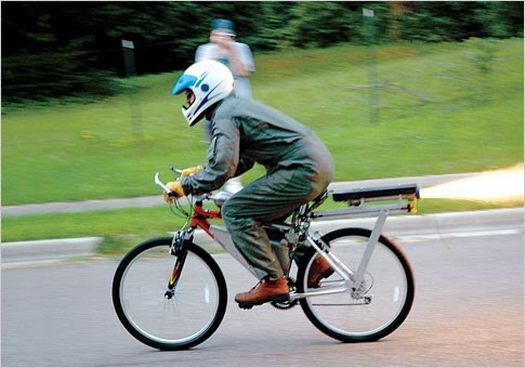 Pickens designed the rocket bike by attaching a custom 200-pound-thrust rocket engine to his bicycle, capable of blasting him from 0 to 60 miles an hour in five seconds. The bike had been retired for two years, and when Pickens pulls it out of his “mancave” for demonstrations on the show, he experiences many technical difficulties. In addition to giving viewers an opportunity to vicariously experience the high-speed thrill of the rocket bike, “Mad Scientists” takes viewers on a journey of building a rocket belt that flies Bowler and others in the Aviation Challenge Lake. The rocket belt project is ultimately Pickens’ biggest challenge. He recruits his daughter and a few friends to help him meet the challenge. Pickens is an advocate of applied technology and having fun. His career accomplishments include leading the propulsion design for the world’s first commercial human-rated and reusable spaceship, Spaceship 1 (SS1), for Burt Rutan. SS1, winner of the $10 million Ansari X Prize, now hangs in the National Air & Space Museum. Pickens also led the design for the green and reusable propulsion system for the Bigelow BA330 space habitat. The propulsion system utilizes converted wastewater as propellants. During the show, Pickens shares some of his experiences with demonstrations and other rocket engine tests. For more information about “Mad Scientists,” visit http://channel.nationalgeographic.com/channel/mad-scientists. The Rocket City Space Pioneers is a team of Alabama-centric businesses and organizations competing in the Google Lunar X PRIZE formed to prove that robotic space exploration can be an affordable and sustainable commercial endeavor. Team members include Dynetics (team leader), Teledyne Brown, Draper Laboratory, Pratt & Whitney Rocketdyne, Andrews Space, Spaceflight Services, Moog, the Von Braun Center for Science & Innovation, the University of Alabama Huntsville, the Huntsville Center for Technology and Analytical Mechanics Associates. Dynetics Inc., with headquarters in Huntsville, Ala., and offices throughout the United States, has delivered high-quality, high-value engineering, scientific and information technology solutions to customers within the U.S. government and a range of other market segments since 1974. The company’s mission is to deliver superior quality, high-technology products and services ethically, responsively and cost effectively to meet customer needs in the areas of intelligence, missiles, aviation, cyber and space. Visit www.dynetics.com for more details. The $30 million Google Lunar X PRIZE is an unprecedented international competition that challenges and inspires engineers and entrepreneurs from around the world to develop low-cost methods of robotic space exploration. The $30 million prize purse is segmented into a $20 million Grand Prize, a $5 million second Prize and $5 million in bonus prizes. To win the Grand Prize, a team must successfully soft land a privately funded spacecraft on the moon, rove on the lunar surface for a minimum of 500 meters, and transmit a specific set of video, images and data back to the Earth. For more information about the Google Lunar X PRIZE, please visit www.googlelunarxprize.org. The X PRIZE Foundation is an educational nonprofit prize institute whose mission is to create radical breakthroughs for the benefit of humanity. In 2004, the Foundation captured world headlines when Burt Rutan, backed by Microsoft co-founder Paul Allen, built and flew the world’s first private vehicle to space to win the $10 million Ansari X PRIZE. The Foundation has since launched the $10 million Archon X PRIZE for Genomics, the $30 million Google Lunar X PRIZE and the $10 million Progressive Insurance Automotive X PRIZE. The Foundation is creating and conducting competitions in four prize groups: Exploration (Space and Oceans), Life Sciences, Energy & Environment, and Education & Global Development. The Foundation is widely recognized as the leader in fostering innovation through competition. For more information, please visit www.xprize.org. Aviation Challenge at the U.S. Space & Rocket Center uses high performance jet aviation as a catalyst to instill interest in science, technology, engineering and mathematics. Youth from around the world have attended the program, and many have gone on to distinguish themselves in aerospace science and industry. The U.S. Space & Rocket Center, through its Aviation Challenge programs, creates an inquiry centered environment where students are actively engaged through discovery, exploration and simulation. Because the program encompasses a variety of learning styles, every child can find some pocket of success during the experience. Camps are available for fourth grade through high school students. 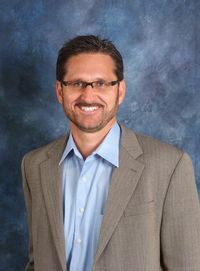 Tim Pickens is commercial space advisor and chief propulsion engineer at Dynetics. He is also team leader of the Rocket City Space Pioneers, a Huntsville-centric commercial team competing for the Google Lunar X PRIZE. Pickens started a space company in 2004 and grew it to a $6.4 million business before selling it to Dynetics. He has been featured in CNN Money magazine, Popular Mechanics, Air and Space Magazine, Popular Mechanics, The Los Angeles Times and The New York Times, and on The Daily Show for his hybrid rocket bikes, jet scooters, rocket belts and other devices he develops and rides. Pickens educates and excites through designing, building and demonstrating whenever he can. He speaks at space conferences all over the country, sharing his views on commercial space and giving advice to entrepreneurs.